Situated in Belgium at the heart of Western Europe, KU Leuven is the 5th European university in the 2010 Leiden ranking; 34th in the 2010 Shanghai ranking. Founded in 1425, it has a rich tradition of learning and research; among its most famous researchers are Vesalius, Erasmus, and Mercator. Today, KU Leuven caters to more than 38,000 students. KU Leuven is a charter member of the League of European Research Universities (LERU). The KU Leuven carries out fundamental and applied research in all academic disciplines. In 2010, the total revenue of KU Leuven was 701 million euros; the university hospitals receive an additional 773 million euros. KU Leuven employs nearly 10,000 people, including a scientific staff of over 6,800 researchers. For CAD-BONE the Biomechanics Section (BMe) will be the center of expertise at KU Leuven. It is a multi-disciplinary institute situated in the Department of Mechanical Engineering. 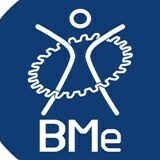 BMe is having a strong expertise in both numerical and experimental analyses of human structure and function. Research topics cover the broad spectrum of length scales present in the human body: from cells to tissues and from organs to the entire body and its interaction with the environment. Research is clustered around four main topics: bone and implant mechanics, mechanobiology and tissue engineering, computer aided engineering in surgery, and functional biomechanical design and analysis. Many projects run in collaboration with clinical partners. The research activities are reflected in the teaching activities of the division. We provide basic engineering mechanics and engineering design in the bachelor years and provide several courses for the Master in Biomedical Engineering. For CAD-BONE, BMe will provide its extensive and long-standing expertise in bone remodeling and bone fracture healing simulations. It will provide supervision for incoming personnel, and will be active in teaching, knowledge transfer, management of research and innovation and public awareness.